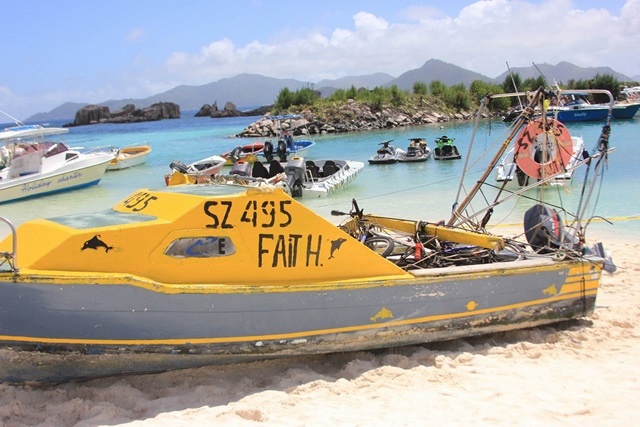 (Seychelles News Agency) - The investigation into the incident in which three people died after a boat capsized during the weekend in Seychellois waters is still ongoing, a top official said Tuesday. Three people died and three others survived after a boat accident last Saturday during a busy holiday period on La Digue, Seychelles' third-most populated island. The chair of the Marine Accident Investigation Board, Robert Morgan, said officials have inspected the boat and collected information from the police, coast guard and witnesses. “We want to find the root causes that led to the accident and make recommendations on actions that we think should be taken to ensure that such an accident does not happen again,” said Morgan during a press conference. The skipper of ‘Faith,’ the boat involved in the incident, who was being detained, has been released on certain conditions. The other two survivors of the incident, a 5-year-old boy and a man, are still receiving medical care at the Seychelles’ Hospital on Mahe, the main island. Reginald Elizabeth, the Commissioner of Police, said that during such cases a person could be charged under the rash and negligent act for manslaughter. The accident occurred during a time when there was a lot of movement on La Digue for the commemoration of the Feast of the Assumption of the Virgin Mary, the Patron Saint of the island last Monday. With no airport on La Digue, the island is accessed mostly by sea. Following the incident, concerns were raised by the public about the fact that there were no patrols in the waters during such a busy holiday period. Elizabeth said that patrols in deeper waters fall under the responsibility of the Seychelles Coast Guard. The director general of the Seychelles Maritime Safety Administration (SMSA), Joachim Valmont, said that it is difficult to control boats going out to sea as there are many ports of exit. Seychelles, an archipelago in the western Indian Ocean, has 115 islands and has an exclusive economic zone of 1.3 million square kilometres. “It is the responsibility of the boat owners to inform the port authority that they are leaving to go to whichever area, with an 'x' amount of passengers and that they are expecting to return on such and such date,” said Valmont. He added that should an accident happen then the authorities will know the details of the ‘missing’ boat. Valmont said boat owners should also advise the port authority and or the police of their safe return to port. There are other security measures put in place, and that includes a speed limit of five knots, to prevent boat owners from speeding during the festivity. "If you are going out at sea, you will need to have certain basic safety equipments such as lifejackets,” said Valmont.